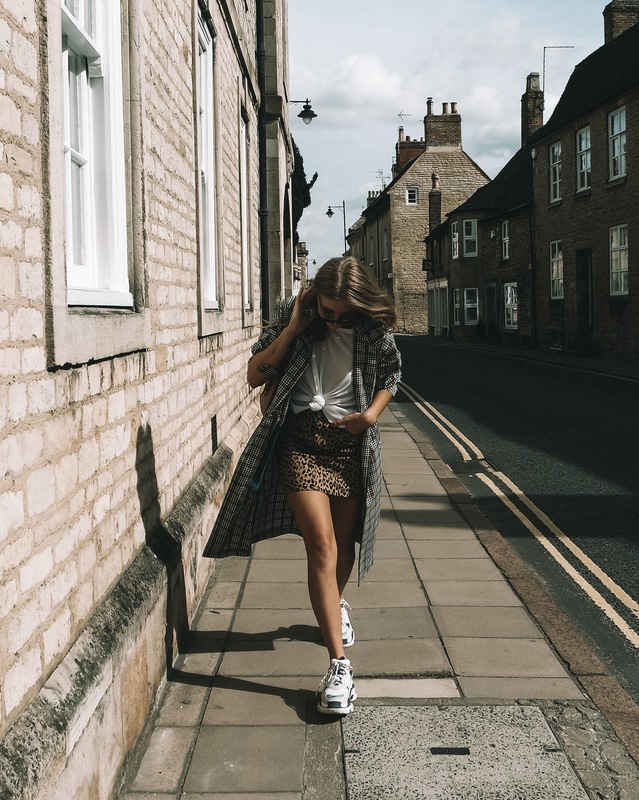 As always happens to me when I end up to do a spontaneous blog post, this was actually meant to be an instagram photo then I just loved the outfit so much and the lighting was so perfect that I ended up with way too many images that I just didn’t want to waste! I had to show you them all! Plus it features my new favourite piece in my autumn wardrobe that I think will be a key hero piece, the printed trench coat! Click on images below to shop! I’ve been in love with my trench coat for a few seasons now, it’s the perfect light layer as we enter autumn and always makes any look feel more pulled together so when I saw this printed trench coat in Topshop I couldn’t not get it! I actually originally got it in my come shopping with me/ workwear lookbook video but I just knew how much it would work for me in other outfits! This kind of check is super popular right now and I’ve been seeing orange all over the place so I love that this has the colour running through without being really bold, I’m definitely not someone who could pull off a full out orange look! 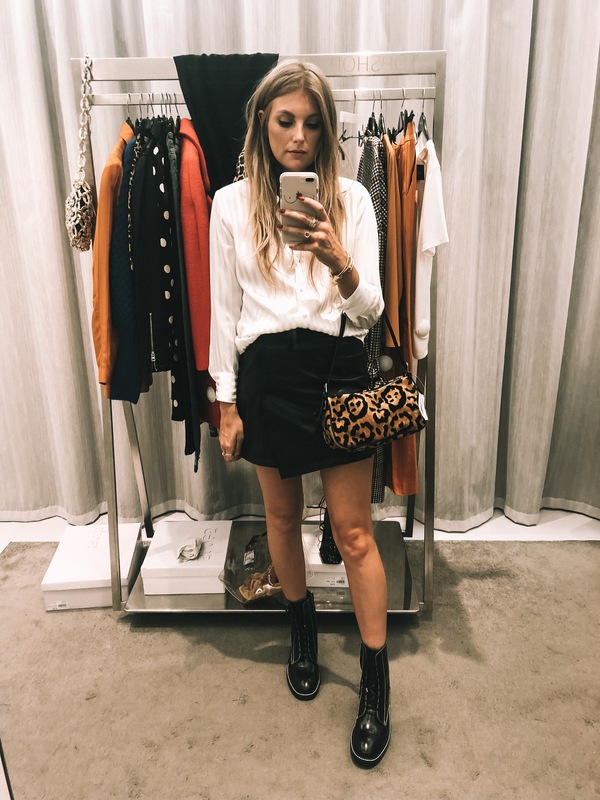 I paired it with this printed denim skirt which BTW I have been eyeing up on Nicole Ballardini for ever so the personal shopping experience which I was kindly treated to by Topshop was the perfect chance for me to finally get it in my wardrobe! I hadn’t actually planned to wear these together when I bought them but I think for some reason the colours and the prints just go together so perfectly! You know when something just clashes and it’s so bad it’s good?! Of course I added my favourite trainers as well! 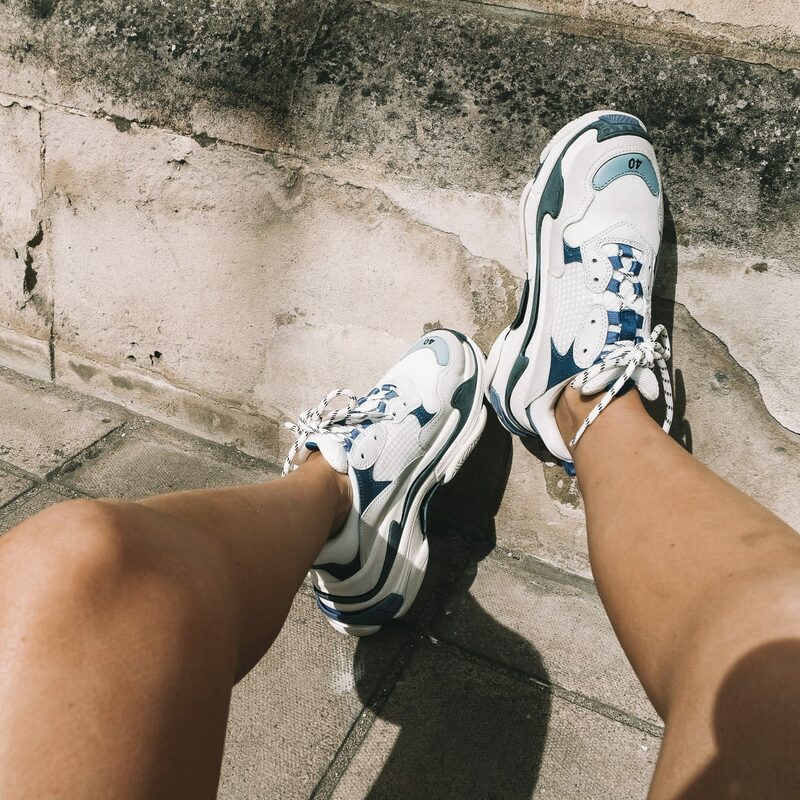 They are actually super comfy and I sized down in mine so if you are thinking of getting them then make sure you go a size down! 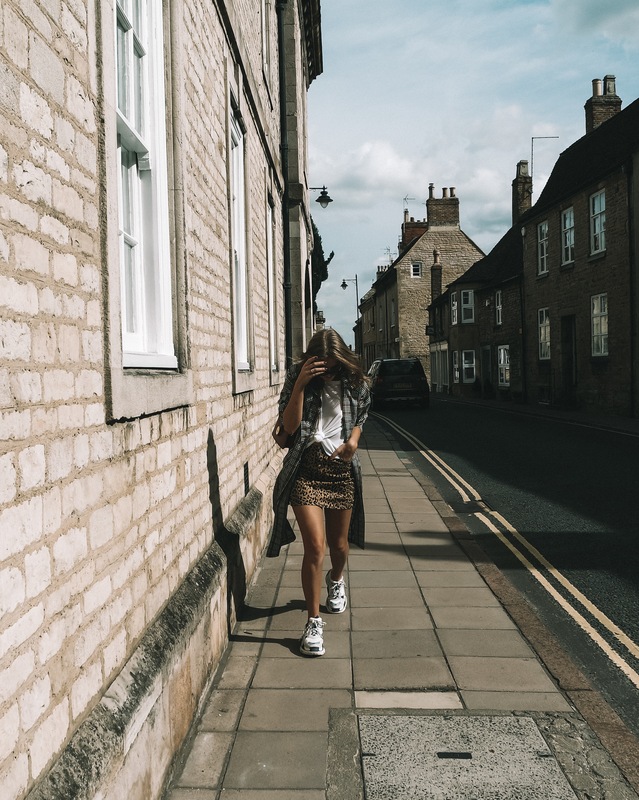 This was my last ever blog post shot in Stamford guys whilst I was living there! I’m sure I will shoot more as I’ll be going back all of the time but I am now officially a Londoner! It’s so strange! I kind of love it though! I’m trying to vlog to show you my move but I just keep forgetting to pick up the camera and I’ve been too busy to edit my previous blog so MAJOR apologies but they are coming soon! *All items marked with an asterix were kindly gifted to me! This blog post contains affiliate links, this means that for each sale made through one of my links I make a small amount of commission. All costs come directly from the retailer and do not affect you or cost you in any way. It’s just a way of me making a few extra pennies that help me to make fun content for you guys without having it sponsored! Definitely loving this printed coat for fall and then to layer it for winter! It’s gorgeous. I adore the way you mix print on print! It’s so chic!